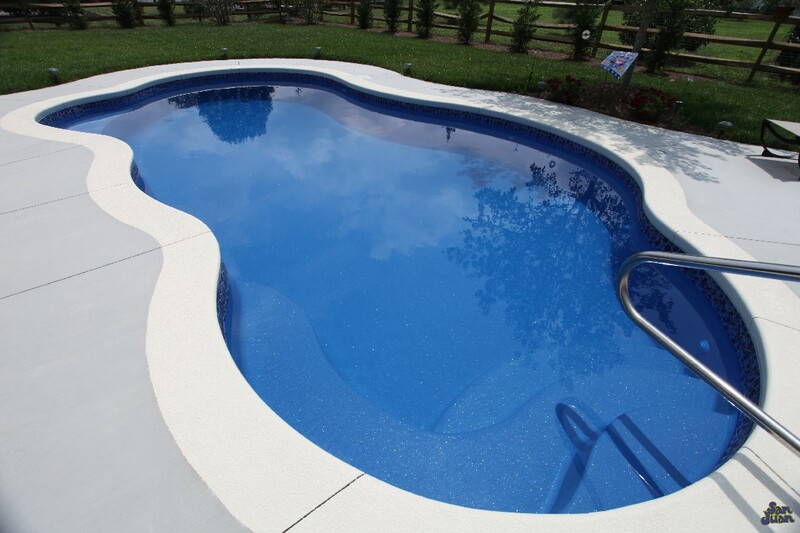 The Rio is an attractive Free Form pool shape with a modest deep end of 5′ 8″. It’s “Lagoon” shape is revered for it’s serene design & natural layout. 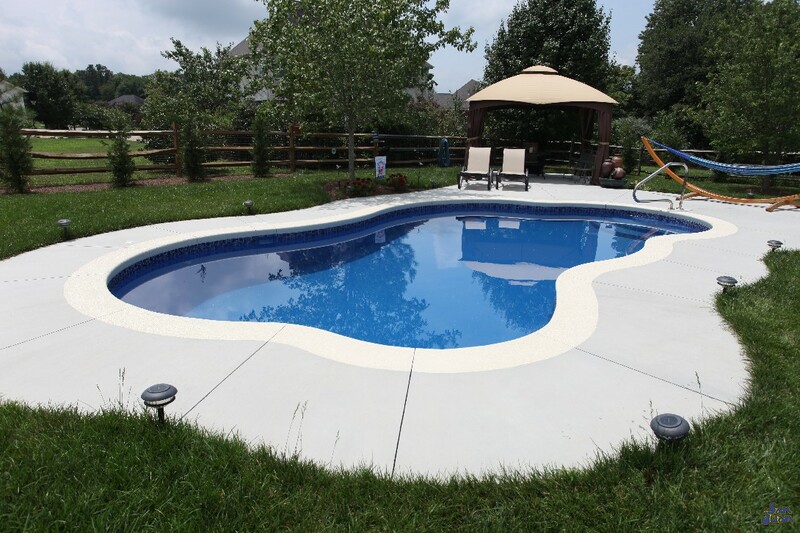 Alas, we present you with The Rio fiberglass pool shell! This captivating free form pool is wonderful for families that want a fun and intriguing pool shape. We highly suggest pairing it with an attached spa (shown above). 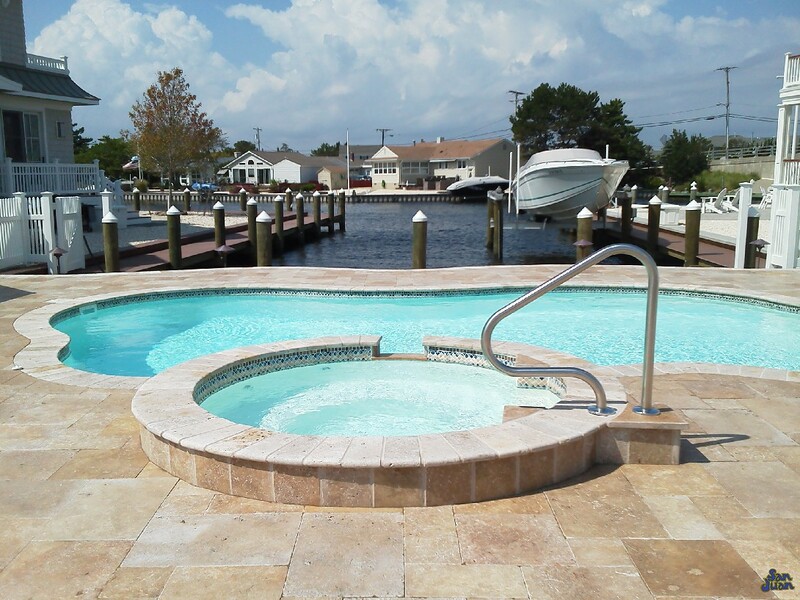 Spas are exceptional partners for our fiberglass pools and greatly extend your swim season. Heat it up using a Automated Control System and you’re free to enjoy your fiberglass spa from early Spring to late Fall. The Rio is classified as a Free Form pool shape. It’s curving sides and inability to stay in the lines boosts it’s fun and playful nature. Perfect for families and outdoor gatherings, the Rio is sure to be the life of the party! Beautiful in all of our gel coat finishes, the Rio is easy to fit into any backyard. It’s compact size of 28′ 4″ makes this swimming pool easy to install in small to medium sized backyards. We love the Rio for it’s unique and playful personality. It’s quickly moving up the ranks to most popular designs and it’s easy to see why. Since it’s inception into the San Juan Pools family, we’ve received lots of orders and positive feedback for this free form swimming pool. In terms of features, the Rio provides a set of smooth shallow-end, curved steps. 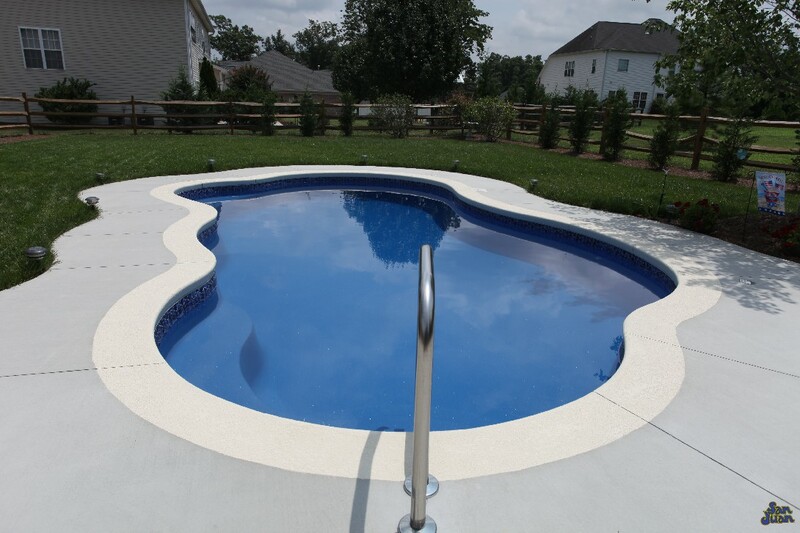 Entering the pool into a 2′ 11″ shallow end, you’ve got a safe area for intermediate swimmers. Venturing out into it’s 5′ 7″ deep end, we equip you with a deep end swim out seat. We keep the swimmer at the center of our design process with the Rio fiberglass pool shell. 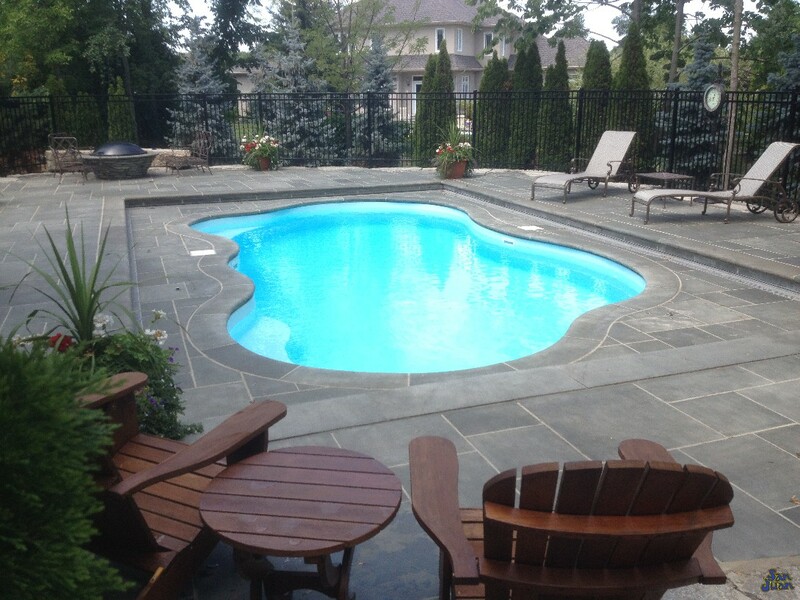 We’re sure you’ll enjoy this fantastic pool shape!